For centuries women in Morocco have relied on oil from the argan nut tree to keep their dark locks glossy and manageable. A favorite of beauty editors and celebrity stylists, MOROCCANOIL® Treatment is a patented formula made from this prized ingredient—known in the Middle East as “liquid gold” due to its color and rich, vitamin E content. We heard about it from several Grommet readers who wrote to say it’s their new hair obsession. One such fan, Liz B, (see her photo on the right – and check out that hair! ), said: MOROCCANOIL is like a vitamin smoothie for my hair! Intrigued, we dialed up Carmen Tal and learned she discovered this magic potion in a chic Tel Aviv salon while on vacation. Amazed with the product’s instant results, she ended up buying the company. 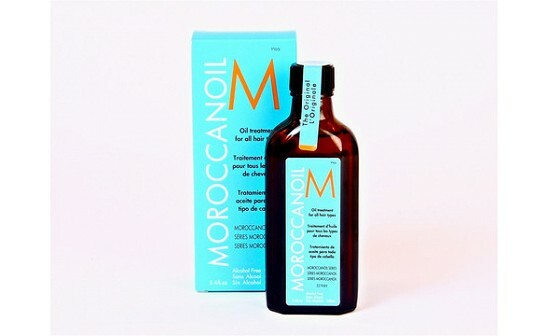 MOROCCANOIL Treatment is absorbed into hair instantly and weightlessly, without any oily residue. It hydrates and restores shine to damaged follicles as it nourishes the scalp. It also reduces drying and styling time, and even protects against UV damage and other environmental hazards. The result is an incredibly soft, smooth and silky ‘do that’s naturally healthy and beautiful. MOROCCANOIL® is happy to be featured on Daily Grommet today. Our one and only proprietary Argan Oil blend is lightweight and immediately absorbed into the hair to revitalize, style and protect all hair types and leave them shiny smooth. MOROCCANOIL is rich in vitamins and nutrients to strengthen hair, increase its elasticity and eliminate frizz and static. We're proud that leading stylists worldwide recommend our products to their clients and each other. We look forward to reading your comments and are happy to answer any questions you may have about MOROCCANOIL. Hope I win, my hair is as dry as the Sahara. the winter season has killed my hair this year. I'm looking for some serious hydration and rejuvenation. moroccanoil treatment is formulated to be aborbed into the cuticle so that the hair is treated from the inside out,that is one of the reasons the results are instant with out weighing the hair down. I already use this and just wanted to tell folks that it's worth EVERY PENNY. EVERY PENNY. Fabulous. I agree with Christine. I have been using this product for over a year and LOVE it. I believe that Moroccanoil helped me get through the agony of growing out my short, layered hair! Love the scent, love it. The stylists at the Chicago salon I go to use Moroccan oil, and so now me and my daughters have some at home and we love it. The stylists say some of their customers also love using Moroccan oil, in the winter especially, as a hand and cuticle treatment. Can you use it on 2 color process blonde hair? My hairdresser put this in my hair when I lived in CA and I thought it was awesome. I didn't get any and wish I had. I'm a subscriber, so I hope I win! My stylist has been using this on me since last year, and I just love how soft it makes my hair. It feels light as well. it is very effective on all colors and shades of blondes but please note that if you have platinum hair we all know that it is extremely porous and has a tendency to be sensitive in regards to aborbing color . I recommend that you try the treatment as we have had great results with blondes! As noted, I love this product! Funny, I too noticed quicker drying time. Today was the first day I put it on my hair while wet, - it smoothed out the frizz and dried quicker! I received this as a gift from a friend and just ran out. What a great product! I love it and would highly recommend it to everyone! one of the benefits of using MOROCCANOIL treatment is that it will shorten your blow drying time by 30% or more.The reason is that it helps to repel water and increases the hairs manageability and flexability there for helping to be more effective when styling your hair. for all of you who are lucky enough to go on vacation or live in a warm climate MOROCCANOIL treatment is formulated to help protect against harmful UV rays and enviromental stresses.It is also a barrier against the copper deposits that are found in the clorine solution used in swimming pools ,theses deposits often affect the color of natural and colored hair.So feel free to be generous with it when swimming! I love this product. Highly recommend!!! I love my Moroccan Oil products ! I use the Intense Hydrating Mask" as a conditioner when I wash my hair, and the "hydrating styling cream" (which comes in a pump bottle). They keep my colored hair sleek and healthy and smell subtle and clean. Well worth the price. I have curly hair and have used the styling cream. It's the best! I have waist length hair and would really love to the Intense Hydrating Mask. thank you for all your wonderful feedback! MOROCCANOIL has 5 products : the oil treatment that is available on the site,a deep hydrating mask ,hydrating styling cream ,hydrating curl cream and our newest addition the Gold Glimmer Shine spray .All of our products contain the benefits of Argan oil which rich in vitamins and anti oxidents. I am really excited that this can shorten drying time. Who doesn't need to save a few minutes in the morning?! Hi Barbara and Stacey, as well as a decrease in blow out time,you can use it on dry hair to finish and smooth your style.Just use a dime size amount and apply on your hair,it will give that little extra shine that we all want and will help protect the hair against frizz and humidity. When using it in wet hair use approx. 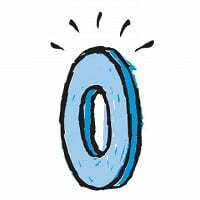 the size of a silver dollar you will get the best results! Enjoy! My hair stylist has used this product and I think it is fabulous. I would love to win it. I won some of this in a giveaway and I love it! Even my husband noticed a difference and that's saying something! I haven't heard of this until now. I would love to try it! This is great! I borrowed some from my daughter because she is always talking about it! Good stuff! Hi Ladies,it is always great from all of you.An interesting fact is that the oil treatment does not contain any achool and that all our ingredients are the highest quality available on the market.We pride ourselves on giving the consumer a result driven product that is unique in the industry. This sounds so great...I hope there are enough Argan trees to tame our locks!! It's always fascinating to learn about remedies and products derived from other parts of the world. Thank you! This sounds fantastic. Sold out already!!! Hi Katherine,the Argan trees are actually considered to be a national treasure and they are protected by the government as the oil from this nut is so precious and has such healing qualities.Theses trees only grow in a small area of Morocco so we trilled that we can bring this amazing formula to North America.Thank you for your interest in our products! Because I have very long hair I have a real problem with split ends. Right now I use conditioner on the tips of my hair every day. It helps, but it's not enough and I still get them. Do you know if this oil from Morroco can prevent split ends? OH NO!!! It sold out?!? I've heard really good things about this product and would love to try it. A friend of mine swears by this product! My hair is so dry, limp and lifeless from the bitter cold we've been having locally - I could really use this to get my stressed-tresses back in condition! Thanks for the giveaway and Happy Valentine's Day to all! My hair could use some love these days. Harsh winter and color treated. My hair would be sighing in pleasure. YAY! Thanks Daily Grommet! I can't wait to try it. I definitely needed something for my limp layers after the baby. The Moroccan oil is great. I use it all the time. I plan to purchase some for a friend too. Alex, We have been keeping an eye on how our website displays using the Chrome browser. We have noticed some Chrome users are unable to see our video, but that's typically because of their video player. Do you have flash (the video player) installed in Chrome? You might also want to try viewing us with Explorer or Firefox to see if that helps. Please let us know if the problem persists. For centuries women in Morocco have relied on oil from the argan nut tree to keep their dark locks glossy and manageable. A favorite of beauty editors and celebrity stylists, MOROCCANOIL® Treatment is a patented formula made from this prized ingredient—known in the Middle East as “liquid gold” due to its color and rich, vitamin E content. We heard about it from several Grommet readers who wrote to say it’s their new hair obsession. One such fan, Liz B, (see her photo on the right – and check out that hair! ), said: MOROCCANOIL is like a vitamin smoothie for my hair! Intrigued, we dialed up Carmen Tal and learned she discovered this magic potion in a chic Tel Aviv salon while on vacation. Amazed with the product’s instant results, she ended up buying the company.